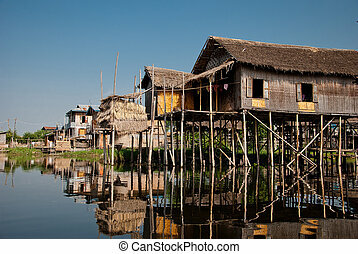 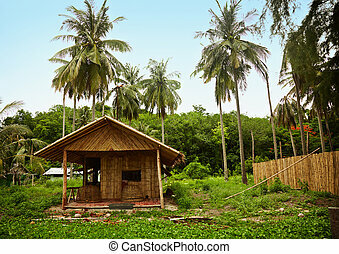 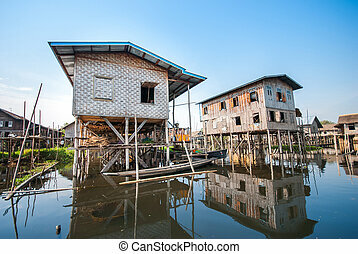 Bamboo huts floating in a thai village. 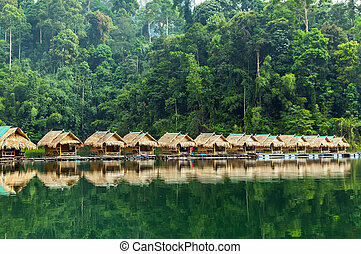 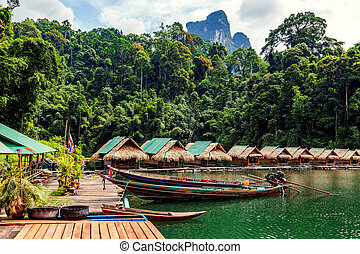 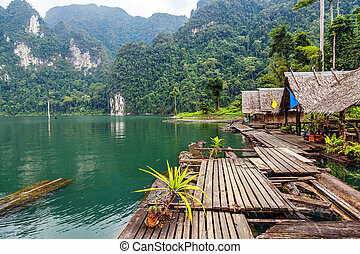 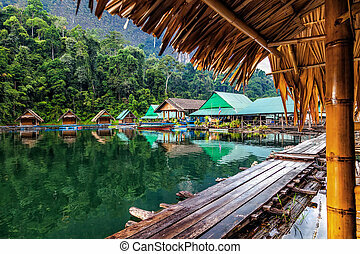 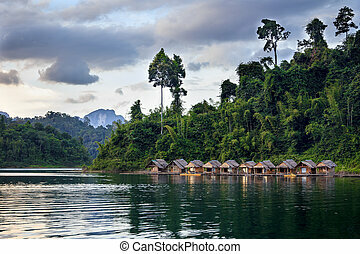 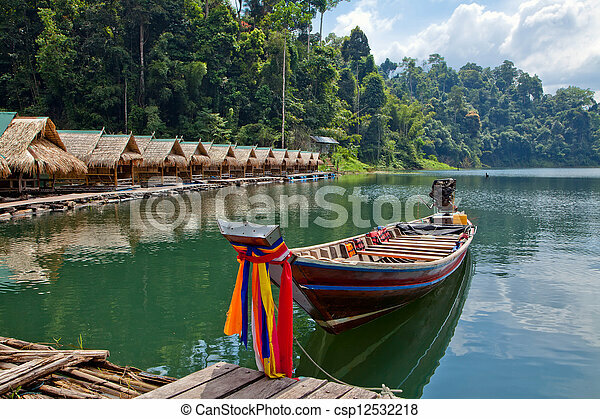 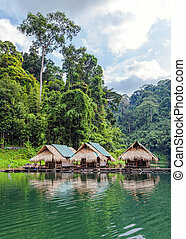 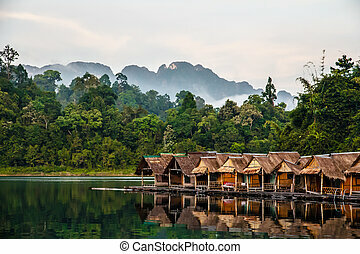 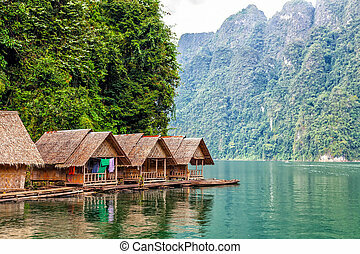 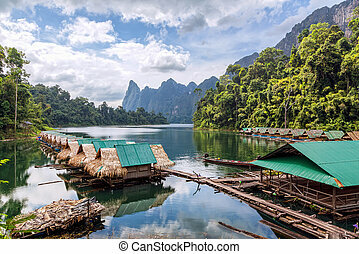 Bamboo huts floating in a Thai village, Cheow Lan Lake, Khao Sok National Park, Thailand. 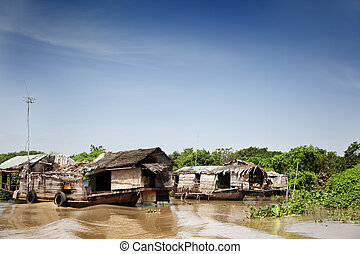 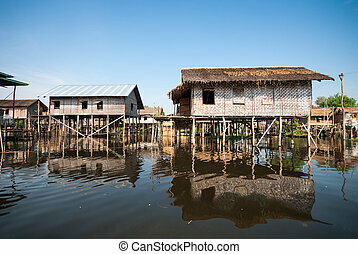 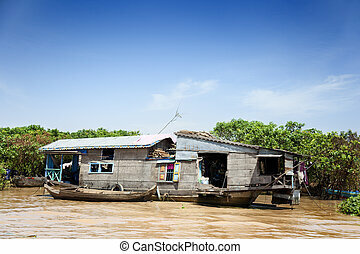 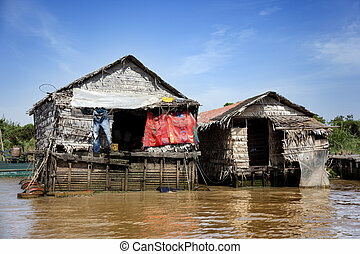 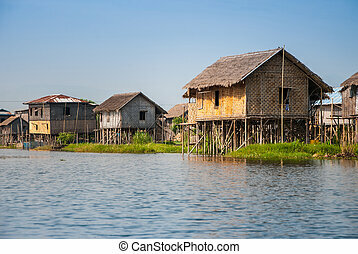 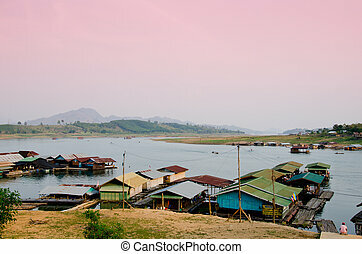 INLE LAKE, MYANMAR - APRIL 10: Floating houses in a village on APRIL 10, 2012 in Inle Lake, Myanmar. 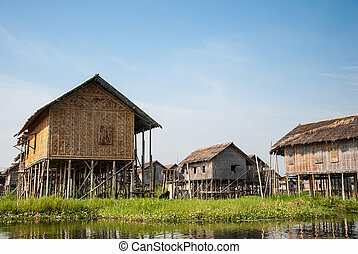 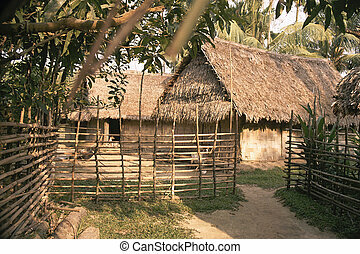 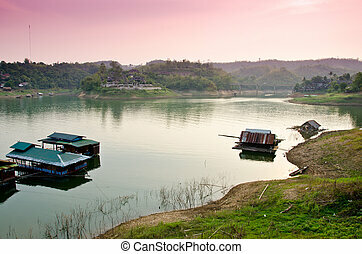 Inle lake is a famous lake for tourism in Myanmar.